I am installing siding on a customer’s house. We need to using siding from two different manufacturers to achieve the look he wants. Naturally, it is impossible to get a color match when doing this. The solution to this problem is to paint the siding ourselves. 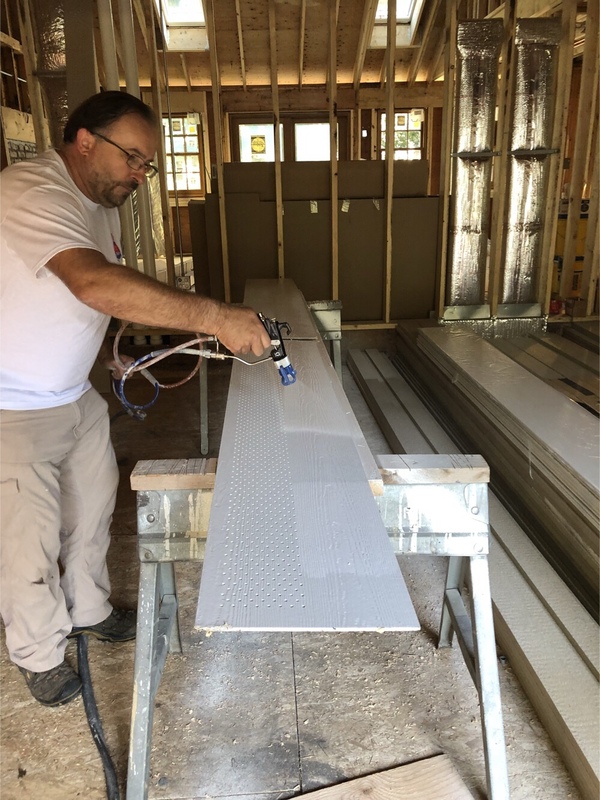 Although it would be possible to paint the siding using a traditional roller method, it would not look as good as panels painted at the factory. 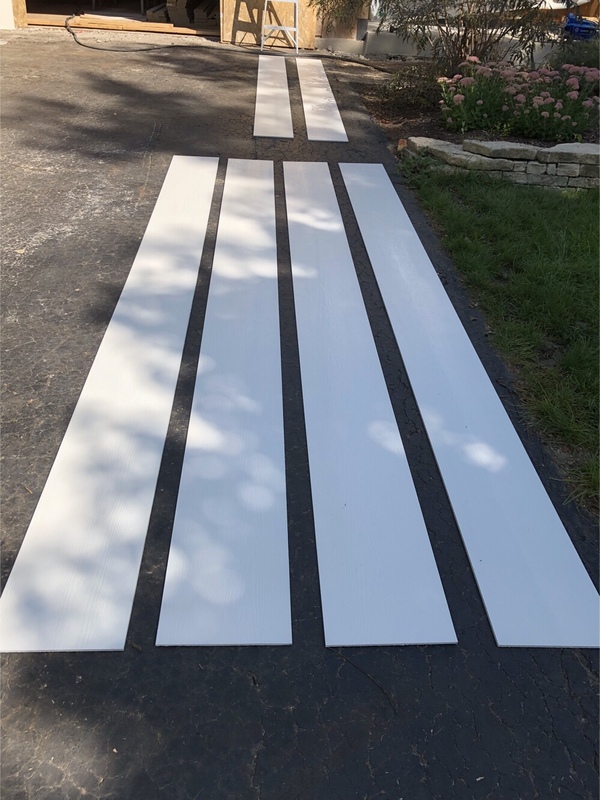 However, we can duplicate this process by using a paint sprayer. I have many years of experience using paint sprayers. However, most of them are either HVLP or airless. Both of these technologies have significant limitations. However, a year ago I invested in an air-assisted sprayer which combines the good qualities of both systems. Although costly I have been very happy with my purchase. 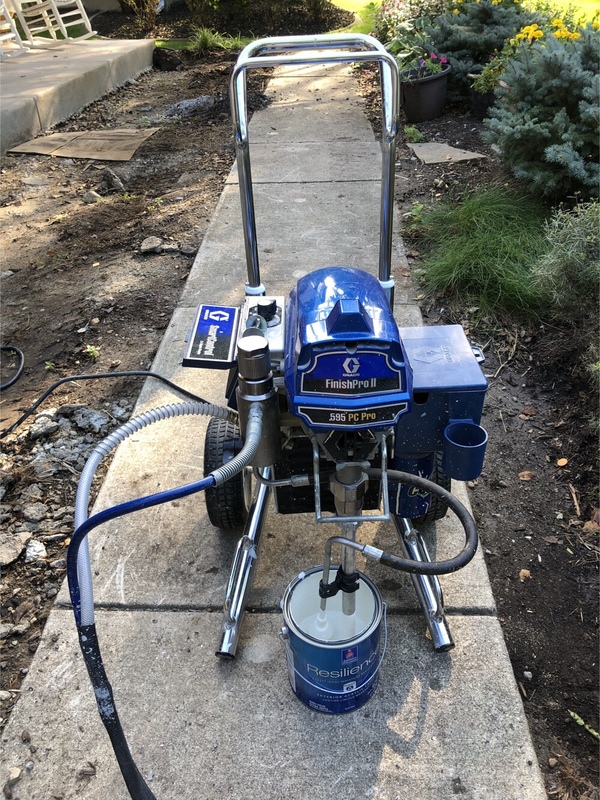 By using this sprayer I am able to give my customer a factory-level finish, and all of the siding components will be the exact same color. There is a difference between value and low price. I aim to give my customers excellent value. Please feel free to call me for a free estimate. I am happy to share with you my 25 years of construction experience.